It kept traders up to speed on the latest prices in readable text on a thin strip of paper and, by necessity, messages were very short. These days, many of us receive short news updates via Twitter on a computer or smartphone screen. 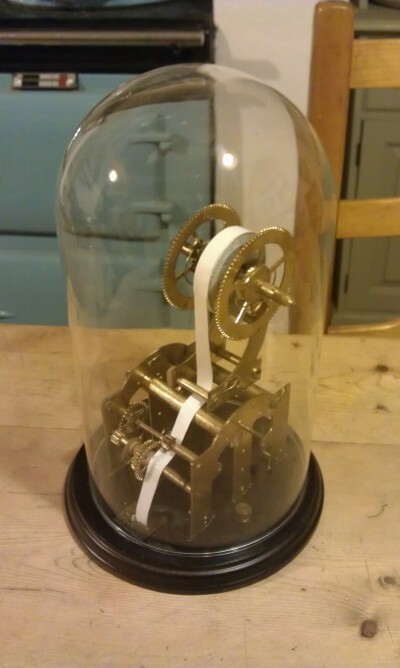 Adam Vaughan's Twittertape Machine elegantly brings those two worlds together in a device that connects to his Twitter account via Ethernet, checks for updates twice every minute, and prints out a hard copy of any new Tweets without the need for printer ink. 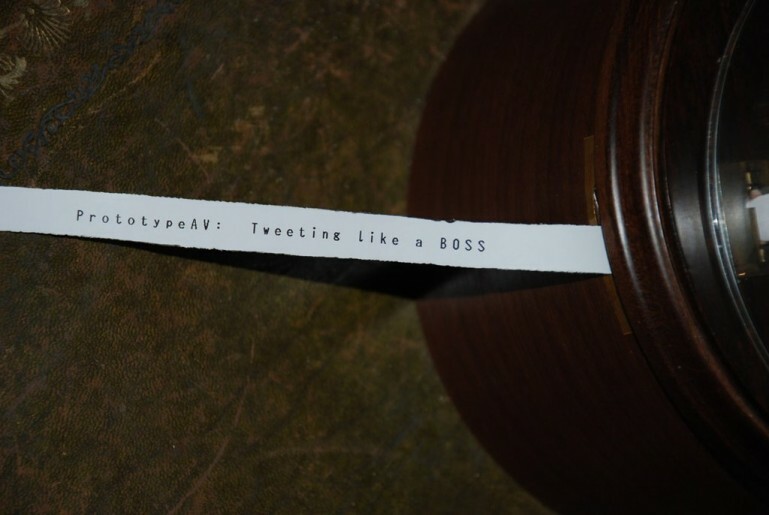 Vaughan told us that the idea for the Twittertape Machine was born of a desire to have the kind of old stock ticker seen in movies sitting on his desk. After a lukewarm reception to his pitch from friends, he decided to make his dream a reality. 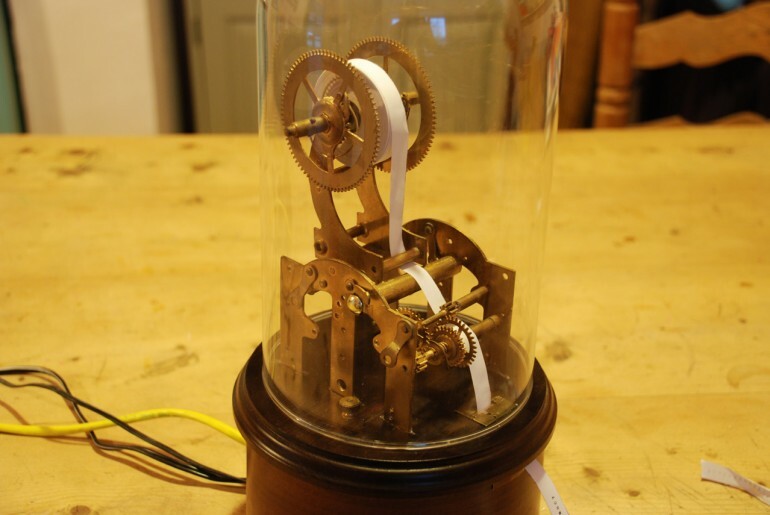 Rather than sacrifice a rare original (like the Edison Universal Stock Ticker used for Ames Bielenberg's Spring Break project), he opted to build his own replica version from some old brass clock movements, a wooden plinth and a glass dome found online. "The design of the machine was my own and really evolved during the build as I was guided by the materials I had available to me and my own ability (or sometimes lack thereof) to work with them," said Vaughan. "I'm not a model builder and have never done anything like this before so it really did take me some time before I had something I felt happy enough to show other people. 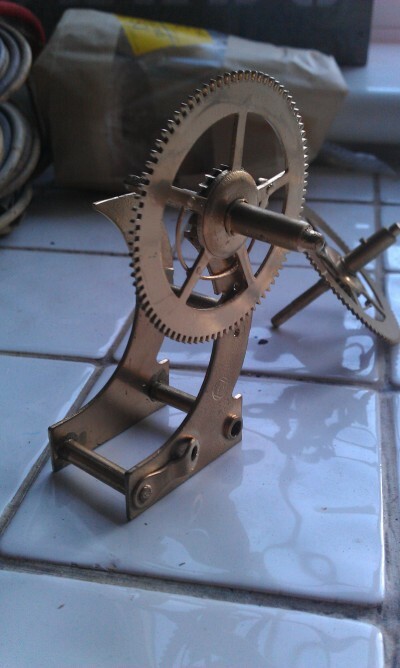 I was aiming for something that looked as if it could legitimately have come from the last century and that I would be proud to display on my desk."